Are you looking for the best way to get yourself or your organization up to speed with Tableau Desktop? Ryan Sleeper – the only person in the world to earn the titles of Tableau Zen Master, Tableau Iron Viz Champion, and Tableau Public Viz of the Year author – has designed a unique curriculum that combines tactical Tableau Desktop training with his own proprietary strategies to help your company get the most out of their investment in the software. 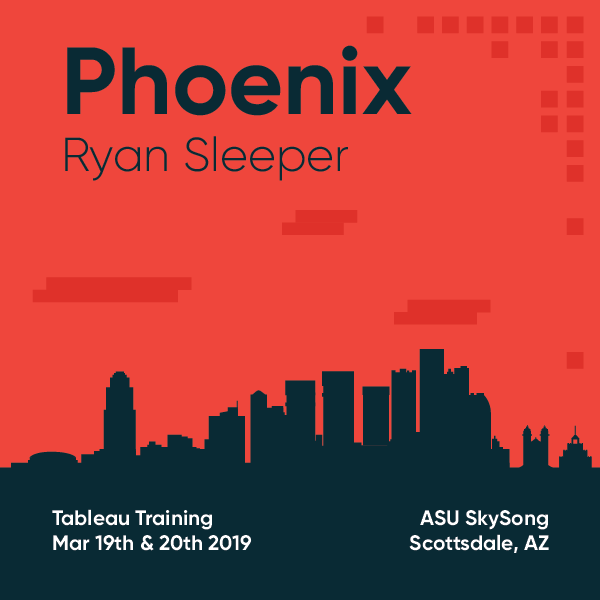 2-day, all-inclusive Tableau Desktop and data visualization training events scheduled in: Phoenix, Boston, Kansas City, and Toronto. Can’t make it to a live training event? Complement your knowledge with a membership to Playfair Data TV. Private, on-site training also available. Contact training@ryansleeper.com if you are interested in hosting an event at your office. Private Tableau training is also available for larger teams. Contact training@ryansleeper.com for more information. Tableau is the third-fastest growing job skill.1 Don’t get left behind. This course is for anybody who wants to not only learn how to use Tableau, but how to cause their data visualizations to provide value to their organizations. There are no prerequisites required for this course. You will be a proficient Tableau user after these two days. There is something for everybody in this course. Even if the fundamentals are review for you, you will pick up proprietary strategies and tactics that the trainer personally uses with unprecedented success. The objective of the course is to get the attendees into the 80th percentile of Tableau users worldwide. In addition to walking away with tangible new skills, every attendee of a two-day Tableau training event receives a printed copy of Ryan’s book, Practical Tableau, a lifetime membership to Ryan’s online learning platform, Playfair Data TV, lunch both days, morning coffee and afternoon refreshments, networking opportunities, personalized instruction and feedback during the 20+ hands-on exercises, a custom notebook, and more. 1 According to Bloomberg Technology and a commissioned study from Bentley University from 2011 to 2015. Tickets on sale now for a public events in: Phoenix, Boston, Kansas City, and Toronto. Ryan Sleeper is founder and principal consultant at Playfair Data and has consulted with dozens of the world’s best-known brands. He is author of the book Practical Tableau: 100 Tips, Tutorials, and Strategies from a Tableau Zen Master. 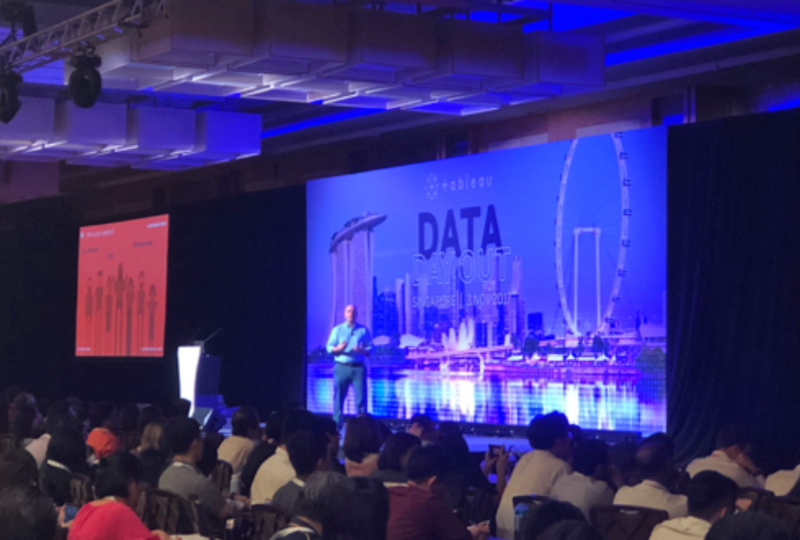 Ryan has shared his data visualization strategies worldwide including speaking engagements in London, Tokyo, and Singapore. He has the unique distinction of being one of only 33 current Tableau Zen Masters in the world, one of ten Tableau Iron Viz champions in the world, and one of four Tableau Public Visualization of the Year authors. This training was the best professional training I’ve ever attended! 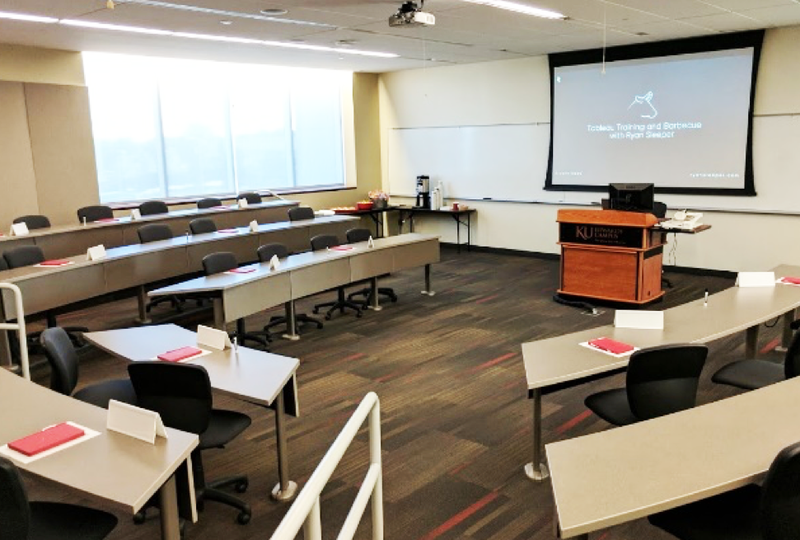 The majority of the class was instructor led, hands on exercises that addressed a broad array of business applicable topics, at a pace that held my attention. There were also deep insights about working with customers, and data visualization strategies from a Tableau award winning Zen Master. Thanks Ryan! I am a semi-novice Tableau user and wanted to attend Ryan’s training to further my knowledge. I had high hopes when I had new knowledge within the first hour. Ultimately, it was hands-down the best technical training I’ve ever attended. I’d recommend taking his course to any Tableau user. It’s been a tremendous pleasure to have Ryan over to help us boost our Tableau skills. His ability to engage the audience and present a complex material in a simple and understandable way was noted and highly commented by the team. Some of my colleagues told me that this was the best training that they’ve ever had! I attended the Tableau Conference three years ago and it was like drinking water from a fire hydrant. I learned a lot, but I had trouble applying the knowledge to our data once I returned to the office. Ryan Sleeper’s training was very helpful and I am already reaping the benefits to the tricks and tips I learned. I would recommend the training course to all levels of experience because you will learn something new and applicable. Ryan’s Tableau training was great. The pacing was just right, not too fast, even for a new user like me, and no down time. I really appreciated the time spent on basic terminology. That’s where I usually get stuck when using tutorials. 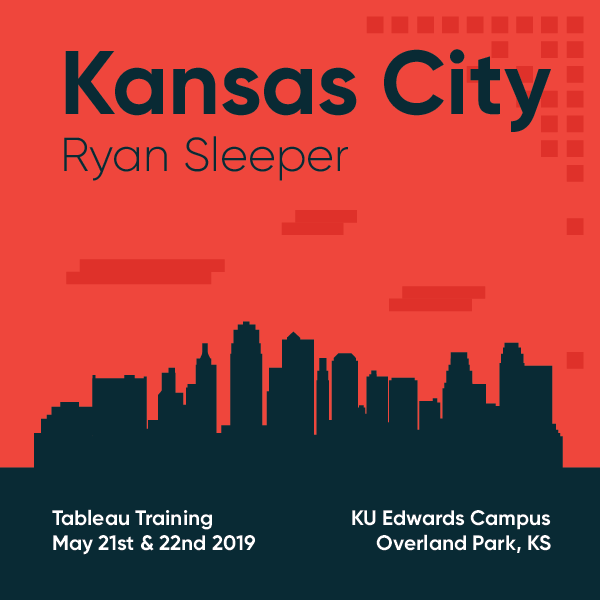 Ryan’s training will alleviate all the insecurities you feel using Tableau. He covers a wealth of information at a pace that is very easy to digest. It is the perfect mixture of tips and tricks, strategy, and advanced technique. I highly recommend this training for beginner to advanced Tableau users. There is plenty to learn for everyone! 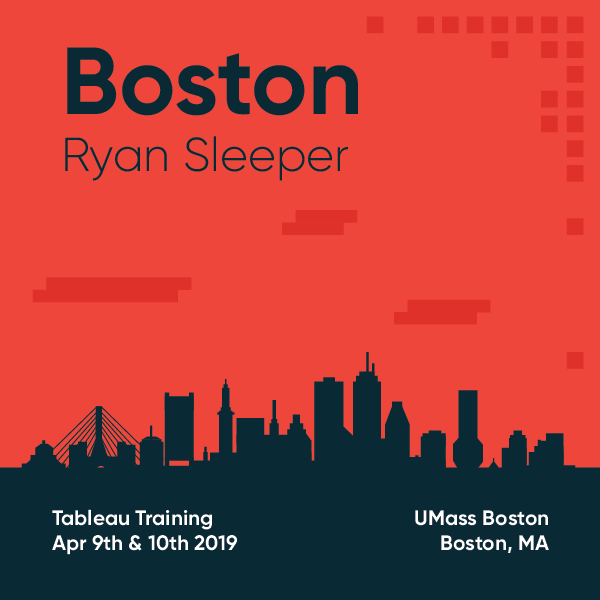 I attended Ryan’s training having never opened Tableau before. Not only was his content very informative but his communication style was easy to follow and kept your attention. I was ecstatic to have the capability to return to work the next day and create my first dashboard with no hesitation. Highly recommend!